The karnataka Government Museum of Bangalore is the oldest museums in India. It is located at the Kasturba Gandhi Road, near Cubbon Park. Colonel Sankey designed the main building of the karnataka government museum and got it constructed in 1876. Bangalore Government opened up for public viewing in the year 1886. 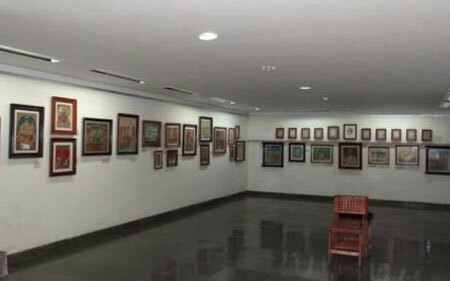 Venkatappa Art Gallery accommodated inside Karnataka Government Museum in Bangalore is a great destination for art lovers. The karnataka government museum has more than 600 paintings from some of the most renowned Indian artists on display. The ground floor of the building exhibits beautiful paintings by K.Venkatappa on various themes like monsoons, sunrise, mountains and lakes. There are collections of paintings by eminent painters like M.F. Hussain, Hariram,Yusuf Arakkal and many more. The paintings of K.K. Hebbar, describing various elements of life like water, air,earth, fire and sky, on the second floor are of great significance. Another section of the karnataka government museum gallery showcases amazing woodcarvings designed by C.P. Rajaram. Stone sculptures and pottery and clay items from ancient civilization add worth to the gallery’s wealth.